Let’s learn English through fun activities. Let’s learn English through fun activities! CHUO Global Village aims to afford people ranging from elementary school children to high school students with the opportunities to learn English while enjoying fun activities. To achieve this goal, we offer a variety of classes including sports, cooking, drama, etc. We provide English programs for adults as well. In this regard, we invite applications for the following teaching position at CHUO Global Village. In principle are people of a nationality where English is the native or official language or people whose command of English is on the same level as the former’s. Hold a suitable status of residence (visa). 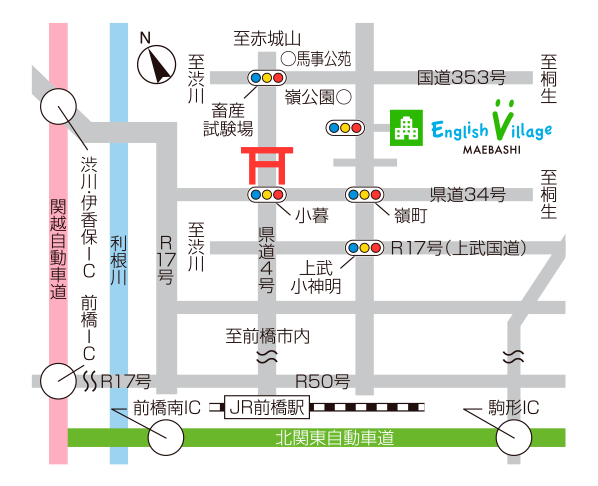 Reside in Maebashi city or its surrounding areas and are able to commute to the Global Village. Have lived in Japan for more than a year. Preferably have experience in teaching both children and adults. Have working experience whether in Japan or any other countries. Are healthy, friendly, cooperative and able to interact proactively with students. Applicants are requested to contact us from this page's form. Applicants are requested to submit the following. 1.Your resume with contact information. 2.A copy of the picture page of your passport. 3.A copy of your resident card. Selected applicants will be contacted to set up an initial screening interview by telephone. We use your personal information for the following purposes, and we have a secure system to manage your personal information. If you have any doubts, please contact us. Of the above, if you have any items that you are unwilling to agree on, please offer us the items you cannot agree with. For those without your offer, we think that you agree with this policy. You can change these offers at any time later. © 2017 Chuo College Group. All Right Reserved.